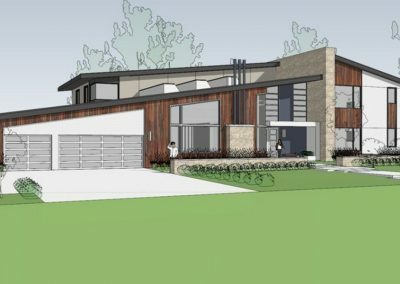 Atherton is a town more known for its large, traditional homes behind high perimeter walls than its contemporary architecture, but a nascent modern movement is forming courtesy of an influx of younger residents. 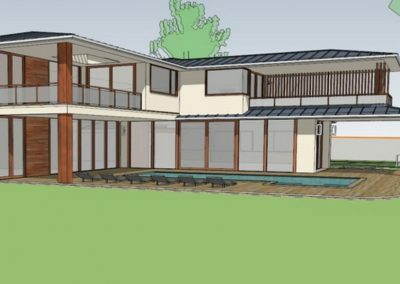 Our client purchased a prominent, oak-studded corner lot once owned by famed modernist developer Joseph Eichler. 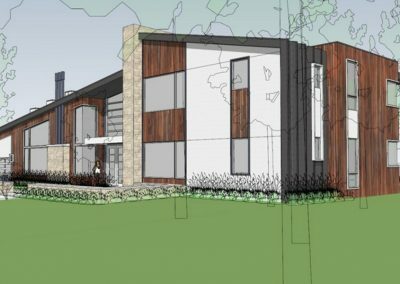 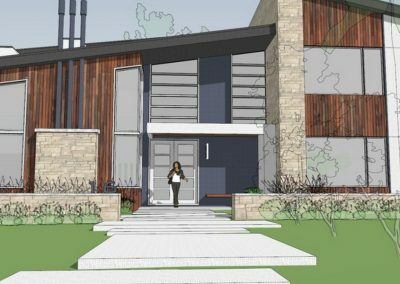 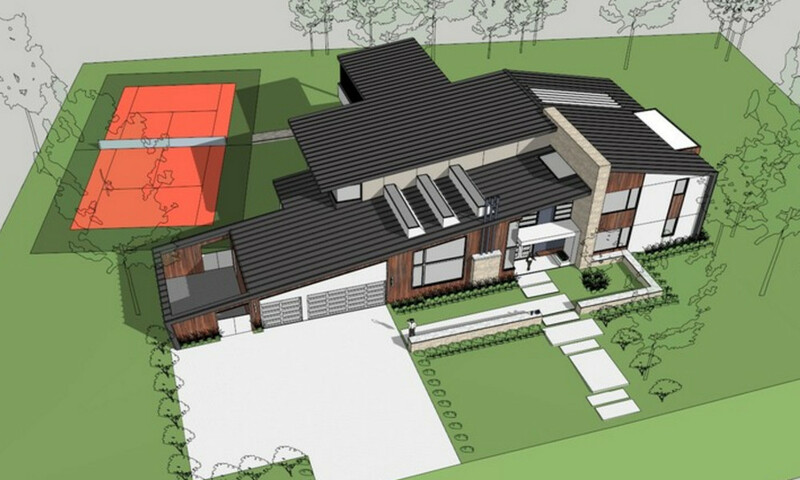 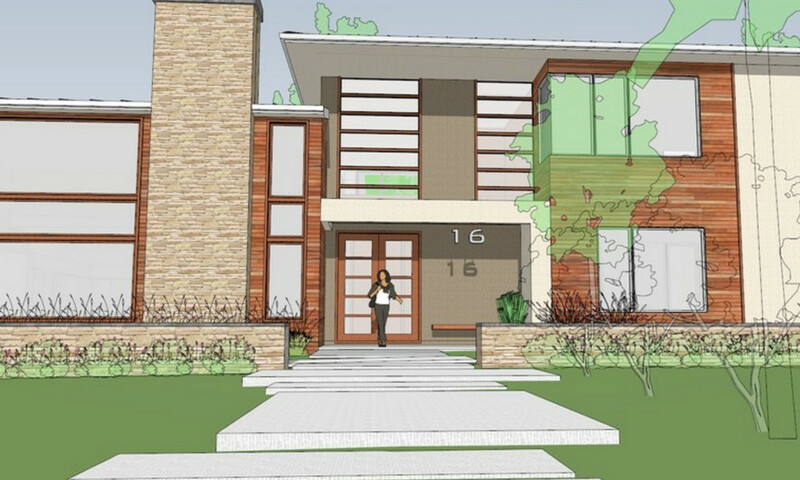 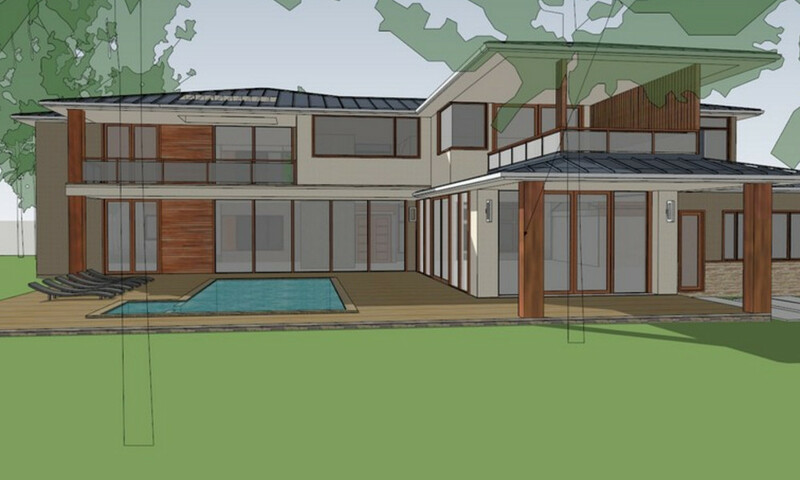 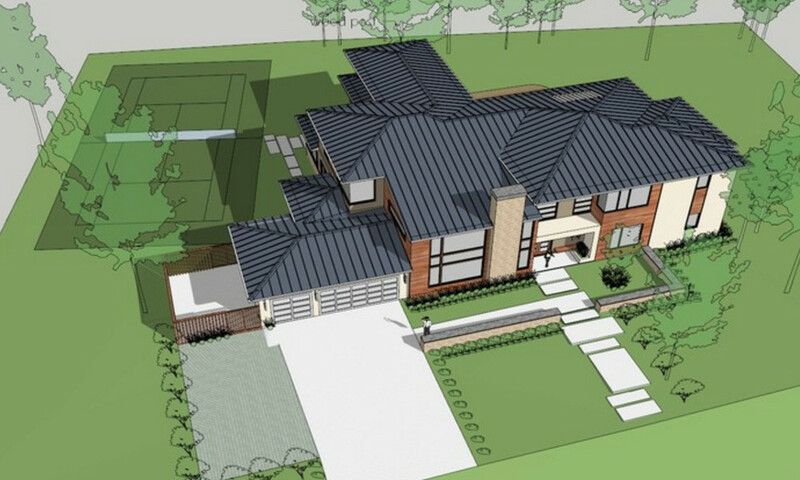 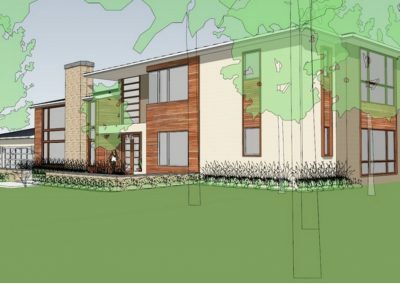 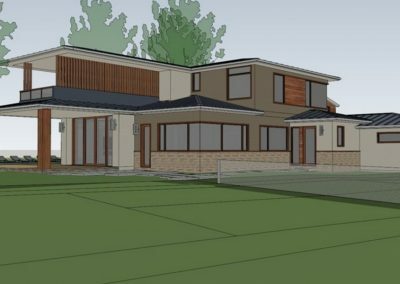 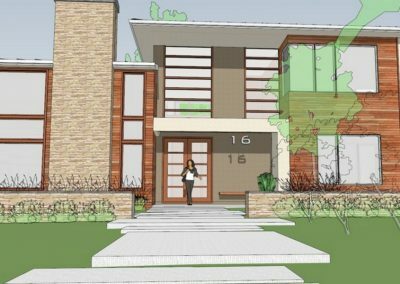 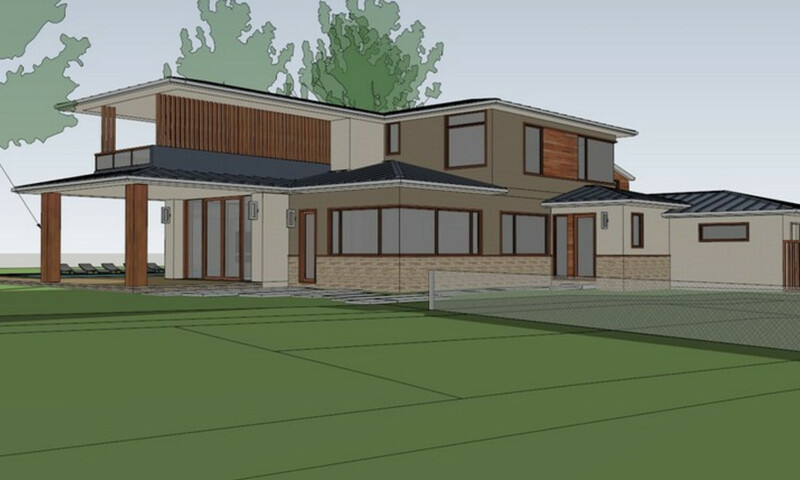 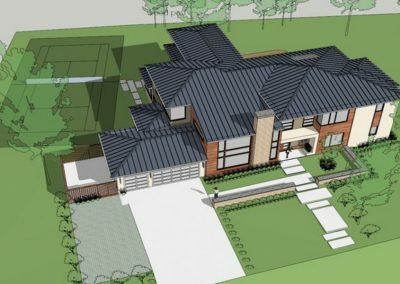 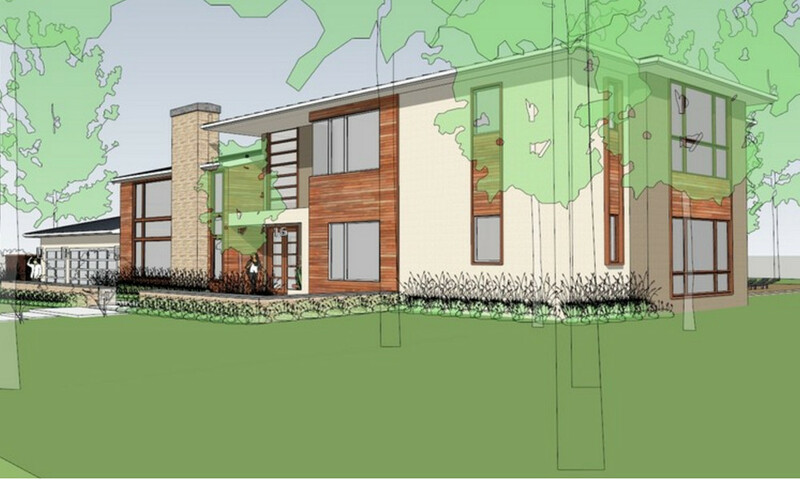 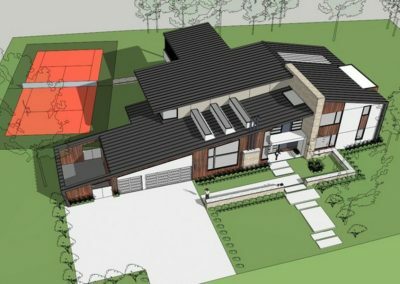 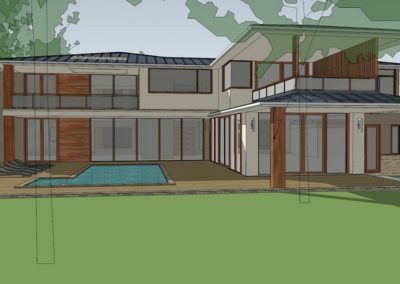 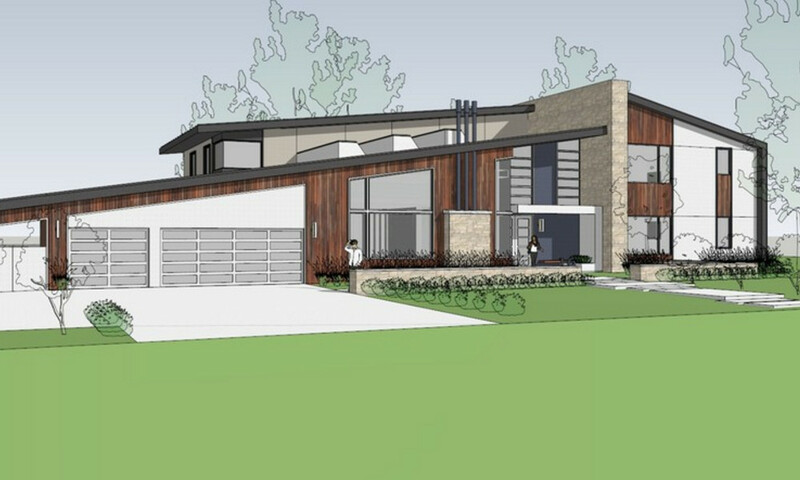 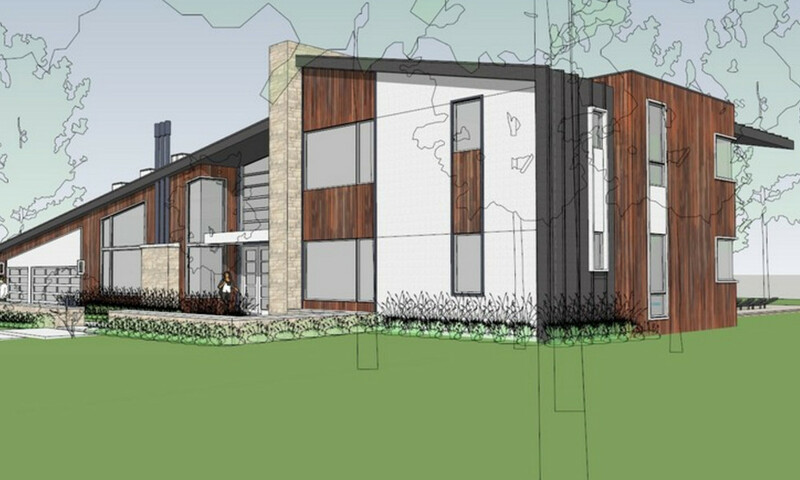 Unfortunately, the existing residence was too far gone to salvage, but our client allowed us to explore a variety of contemporary design approaches before settling on a less-aggressive hipped roof design. 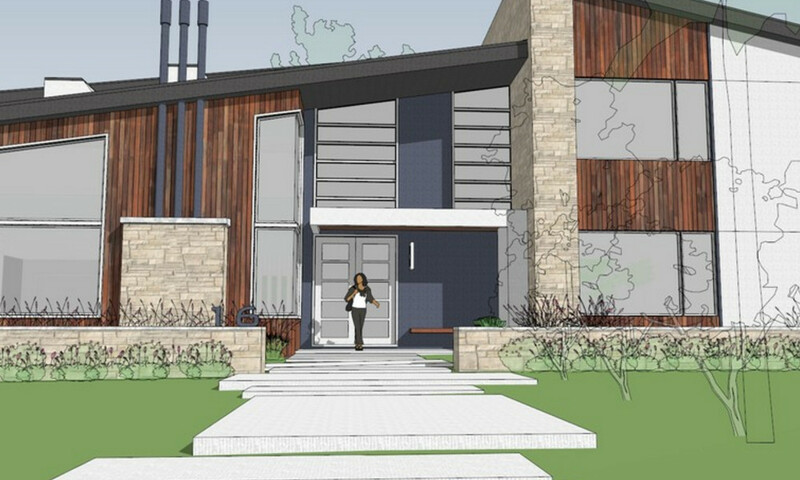 Construction completion is expected in 2017. 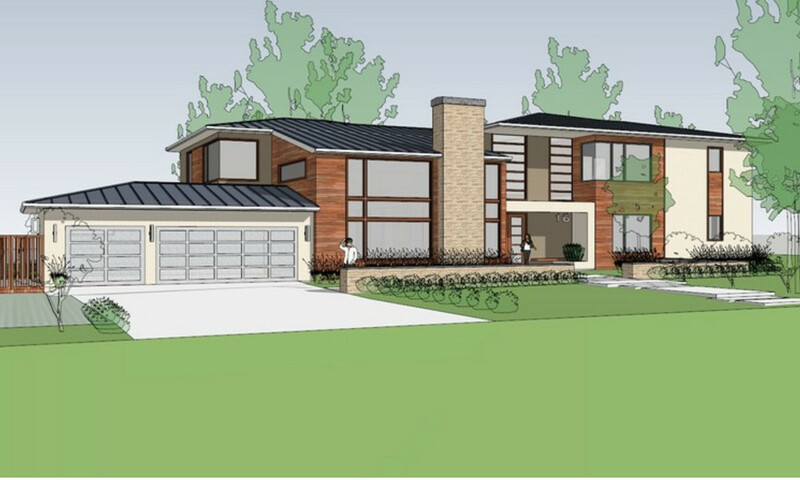 Scope of Work: Demo of existing 3,480 s.f. 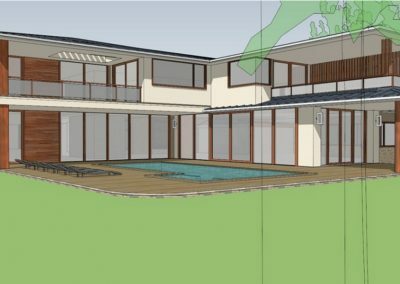 house on developed site. 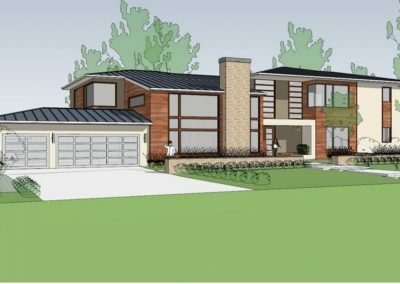 New construction to be a two story, 6 BR, 6.5 BA house of 6,444 s.f. 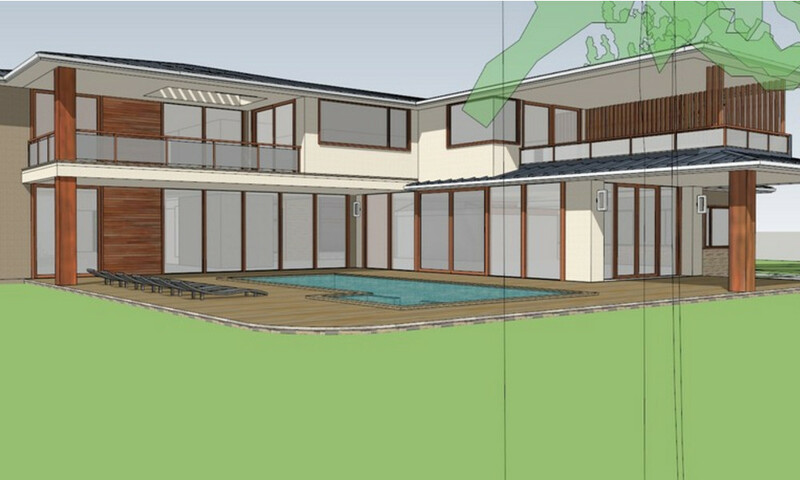 living area, and 804.8 s.f. 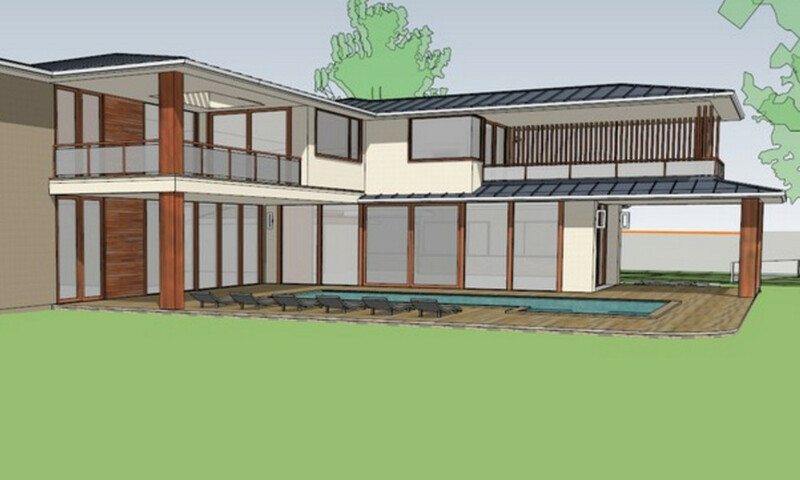 garage area.